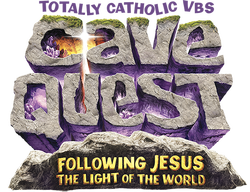 are invited to CaveQuest: Following Jesus, the Light of the World. Gear up for an over-the-top underground adventure! Cave Quest promises to ground kids in the rock-solid foundation of God's love, a love that takes us through life's darkest times. To register for VBS (and other Faith Formation programs), click here.